Werderscher Markt, 11, 10117 Berlin, Germany. This stringly designed hotel next to the German Foreign Office offers easy access to Berlin attractions including the Museum Island, Cathedral, and Gendarmenmarkt square. The 4 star arcotel John F successfully combines modern architecture, understated elegance, and traditional comfort. 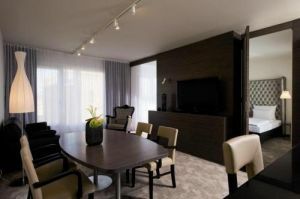 Look forward to individually decorated, bright rooms and suites with quality amenities and wireless internet access. 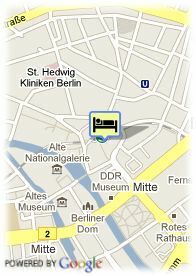 Thanks to your central location, you can easily reach Berlin´s sights on foot or by public transport. Make sure to visit the John F´s spa and fitness room on the top floor and admire the views.